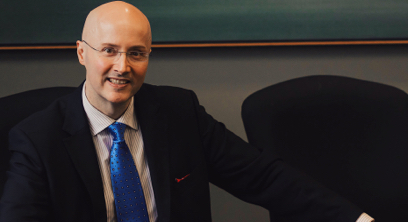 A new memorial award, established by the Western Law Class of 2007, honours the late Tim Edgar LLB’85, a much respected and admired Professor who taught at Western’s Faculty of Law from 1989 to 2011. 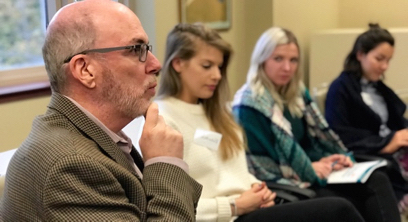 In the fall term, Western Law Professor Thomas Telfer led 23 first-year law students through the Mindfulness Ambassador Program. Western is the first Canadian Law School to offer this unique program. 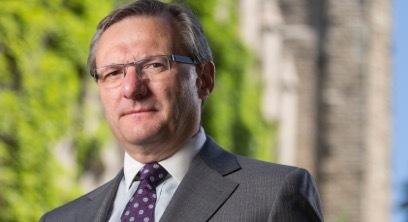 A new Social Sciences and Humanities Research Council (SSHRC) Insight Grant awarded to Professor Christopher Nicholls as co-applicant, will fund research into shareholder activism and its impact on the capital markets. 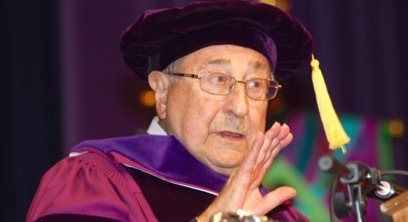 Western Law mourns the loss of Gerald Fridman, Professor Emeritus and private law scholar, who died on November 24, 2017 at age 89. Precarious work is a growing, and worrisome, phenomenon in North America, and is contributing to both deteriorating working conditions and rising income inequality. This was the theme of the most recent labour law lecture and conference series at Western Law, held on 3-4 November. No, your ‘smart’ coffeemaker likely isn’t plotting to harm you. But it might well be leaking data about you to companies that don’t have the capacity to safeguard the information, says Western Law professor Sam Trosow who specializes in privacy protection. 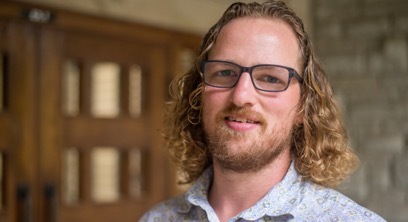 Professor Jacob Shelley has received a Canadian Institutes of Health Research (CIHR) grant to examine the ethical dilemmas of pharmacists who sell products that may be considered unhealthy. It seems as though almost weekly, we receive newly published information or reported decisions that appear to confirm how very little we know about the true impact of head injuries within a sport context. NBA China CEO David Shoemaker, LLB’96 along with Ken Chu, BACS’96, LLD’07, Chairman and CEO of Mission Hills Group, announced they will set up China’s first NBA Basketball School. Western Law officially welcomed the Class of 2020 with a formal Induction Ceremony held at Western University’s Great Hall on September 5. The ceremony marks a significant milestone in the professional and academic lives of the students, and creates a greater awareness of the privileges and duties that being a lawyer entails. 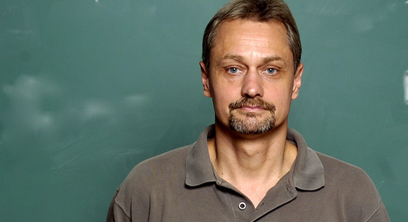 Law professor Randal Graham has published Beforelife, a work of fiction depicting a post-mortem life of non-scarcity. The book is set for a September release. It was a great day of celebration for the Class of 2017, their family and friends. Dean Erika Chamberlain welcomed the grads and their guests to the Western Law awards ceremony held on June 21 and congratulated the class on their hard-earned accomplishment. Community Legal Services continued its national leadership role in access to justice when it hosted its fourth annual Access to Justice Symposium on March 24, 2017. The event had its largest attendance ever, as over 125 persons came to Western Law. 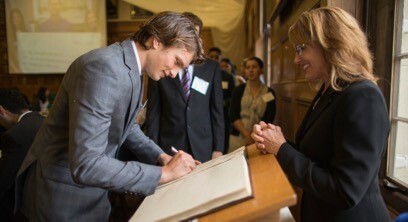 The Western Law Interdisciplinary Graduate Student conference "Law: Stagnation, Evolution or Revolution?" 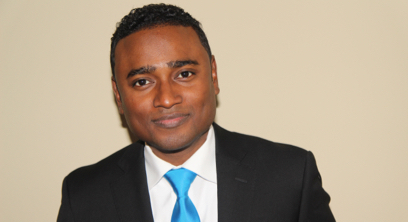 held May 18-19, discussed the role the law plays in differing areas of society. 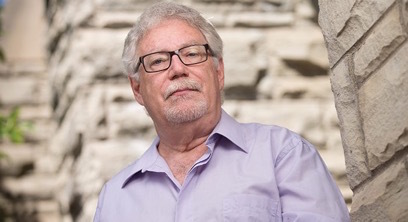 Western Law professor Michael Coyle has received a Social Sciences and Humanities Research Council grant in the amount of $24, 986 to conduct research into Indigenous systems of law. Members of Western Law’s Tort Law Research Group, Erika Chamberlain, Jason Neyers, and Zoë Sinel, presented papers at the Canadian Law of Obligations: Innovations, Innovators, and the Next 20 Years at the Peter A. Allard School of Law at the University of British Columbia in Vancouver. Professor Margaret Ann Wilkinson has been awarded, as co-applicant, a $22,270 SSHRC Connection grant. She shares the grant with Prof. Mistrale Goudreau (Ottawa-Civil Law). A new graduate diploma program at Western Law brings together the fields of mining law, finance, and sustainability to teach the latest legal developments in the Canadian and global mining industry. Western Law's moot team placed in the top four teams in the world at the International Rounds of the Philip C. Jessup International Law Moot Court Competition held in Washington, D.C.
A new book, The Right Relationship: Reimagining the Implementation of Historical Treaties edited by Michael Coyle and John Borrows, explores how Canada’s legal and political structures could better serve the treaty relationship between First Nations and the Crown. Members of Western’s Faculty of Law had the unique opportunity to learn first-hand about Indigenous law thanks to the Anishinaabe Law Camp held March 23-26. 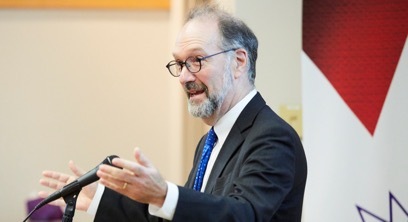 John Goldberg, the Eli Goldston Professor of Law at Harvard University, delivered the second Tort Law Research Group Public Lecture of the 2016-17 academic year to an audience of students and faculty on March 13. When Laura Snowdon graduates this June from Western Law she’ll be in the fortunate and unusual position to have two consecutive judicial clerkships lined up. Western University’s third annual Indigenous Awareness Week takes place March 20-24, and the Faculty of Law will be host to a number of special events celebrating and bringing awareness to local Indigenous culture and legal scholarship. In her 2017 Coxford Lecture, Professor Debra Satz discussed various problems with and challenges to the privatization of public goods. Professor Valerie Oosterveld has been named Western Law’s Faculty Scholar for the 2017-18 and 2018-19 academic years. The award recognizes sustained excellence in all scholarly activities. Seventeen law schools from across Canada participated in the 2017 Kawaskimhon National Aboriginal Moot and for two Western Law students it was a unique and fulfilling experience. Erika Chamberlain has been appointed to a five-year term as Dean of Law, beginning May 1, 2017. She will replace Iain Scott, whose term ends this year. It was a career that needed a runway and, once airborne, her flight aimed for new horizons. After completing one year of her undergraduate degree, JD/MBA student Ashley Taborda took a prolonged break from school to figure out what she wanted to do with her life. 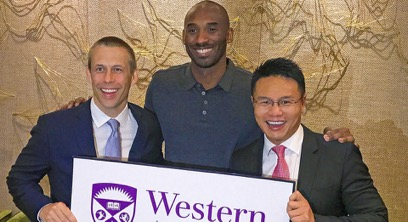 There is no question Western Law has the bases covered when it comes to outstanding sports law education. Mayo Moran lectures on Tort Law’s "Reasonable Person"
Mayo Moran, Provost and Vice-Chancellor of Trinity College at the University of Toronto, delivered the Tort Law Research Group public lecture on “Rethinking the Reasonable Person”. In light of President Trump’s travel ban on seven majority-Muslim countries, law students lent their time and talent to take part in a research marathon to assist the Canadian Council for Refugees launch a challenge to the Safe Third Country Agreement. Western Law students recently took part in the Debwewin Summer Law Program, spending time with Indigenous organizations to provide community education and legal assistance support to First Nations, Métis or Inuit communities and community organizations in Ontario. Michael Rubinoff's Come From Away - a heart-warming tale of kindness and generosity in the face of tragedy – is on its way to Broadway. Valerie Oosterveld, associate dean in the Faculty of Law, along with 22 partners from across Ontario, was recently awarded a $2.5-million Partnership Grant from the Social Sciences and Humanities Research Council. Ontario’s Attorney General, the Honorable Yasir Naqvi, spoke at Western Law on January 19, on the topic of “Challenging the Status Quo in Ontario’s Justice System.” He encouraged Western Law students to be the “instruments of change” in society, and to constantly ask how they can make the legal system and society better. Professor Valerie Oosterveld has been selected to lead a United Nations Women-funded project to learn more on the prosecution of sexual and gender-based crimes from the Special Court of Sierra Leone (2002-13), created to address serious crimes committed during the brutal armed conflict in the West African country in the 1990s. Third-year Western Law student Jim Lepore is the winner of Canada’s IP Writing Challenge for 2016. Western Law’s January term is a highlight of the school’s academic year and provides students a global perspective in a range of private and public law.